Reduce Meds, Costs, and Drug Side Effects. Cut your cost of drugs and need for meds or nutritional supplements in 1/2 (or more) to save money protecting your health, treating deadly diseases, and preventing drug deaths and side effects. For the first time in history, our new technology–the 528 Water Smacker–addresses each of these neglected problems. The 528 Water Smacker shockingly demonstrates the affordable manufacture and consume-ability of this special kind of energized water that can revolutionize healthcare and radically improve your life and health. This technology advances a choice in healthcare, for the first time at an affordable price, to help solve the aforementioned four major problems in medicine all at once. The 528 Water Smacker irrefutably creates a palpable (self-evident/verifiable) super-charged “super-wet” water that you can feel by touching it, tasting it, and getting zapped with the most healing frequencies on heaven and earth–the 528Hz frequency vibrating at the heart of chlorophyll, oxygen, and nature. This 528Hz frequency is also the “Miracle” note of the original Solfeggio musical scale fundamental to physics. In addition, the Schumann resonance frequency of the planet is imparted to this water. Helping solve the greatest problems in medicine and the environment. Now you can purchase the 528 Water Smacker for less than $500 and enjoy super-charged “clustered water” to rejuvenate even your DNA [3 thru 7]. This will save you money, and reduce common drug side effects, because this most amazing “miracle healing water” dramatically increases the energy and “viscosity” of your blood, and also increases the absorption into your cells of costly pharmaceuticals or nutritional supplements. By dramatically increasing the absorption of these costly meds and supplements, getting more of their ingredients into your blood and cells faster, you can cut in half (or more) the recommended doses of prescription drugs or amounts of nutritional supplements you are taking. Lowering drug dosage can save you a lot of money if you take drugs. The world clamors for reducing dangerous drug side effects, such as widespread suicides caused by the opium-based pain killers. Here is a viable and valuable solution. The 528 Water Smacker combines Tesla technology with the “frequency of nature” and the “Universal Healer–Love/528” to create “super-wet” micro-clustered, energized “healing water” that improves nutrient absorption and drug delivery for optimal health protection, rejuvenation, and life-enhancement! Dr. Horowitz points to a number of scientific studies that explain Dr. Rein’s observation regarding the micro-clustered ‘smacked’ water rejuvenating damaged or dehydrated DNA. One such article online is published HERE. In other words, in our world heavily polluted by wireless electromagnetic noise, the 528 Water Smacker enables you to drink Earth’s most “grounding energy” along with the “frequency of LOVE–the ‘Universal Healer.’” Position the LOVE 528 Coaster beneath the smacking bottle in the cylindrical water manufacturing chamber, and you will be delighted by what you will be able to accomplish with this revolutionary combination of bioelectric technologies. There are three parts to this recommended package: (1) The Water Smacker unit; (2) The LOVE 528 Coaster (also available for separate purchase); and (3) A One Liter (thin plastic) Bottle. This special package also includes a neon bulb testing circuit. The Schumann energy opposes stress. It grounds and “mellows-out” your body to have you resonate in sync with primordial Earth. The 528Hz frequency supplements this positive impact and is also believed by biophysicists and electro-geneticists to help repair damaged DNA. 528nm of light shines at the heart of the electromagnetic color spectrum and chlorophyll. This is the color-greenish yellow–naturally selected by plants to fill the air with oxygen containing “love electrons,” as Dr. Horowitz calls them. They broadcast greenish-yellow light and 528Hz frequency of sound that relieves stress, generates energy for vitality, promotes deeper more refreshing breathing, and general healing. Thin plastic bottles permit the greatest charge. Glass and metal bottles will damage your unit and void your warranty. The 528 Water Smacker comes with a 48 oz. clear (PET) plastic lab-grade non-toxic bottle. You can also use other 32oz to 48oz safe plastic bottles. Research shows that thin plastic bottles work best for water charging. PET clear plastic has the correct dielectric properties. Too thick plastic will not work as well as the thin bottle supplied. Other good PET plastic bottles can be purchased locally through many vendors, such as: Trader Joe’s (i.e., the 50.7oz, alkaline water blue bottle); Smart Water bottle (50 oz. ); Evian tall 1.5L bottle; Crystal Geyser Spring Water 1.5L bottle sold at Dollar Stores; or the Deja Vu blue bottle. There are two reasons you should NEVER USE GLASS BOTTLES in the 528 Water Smacker: (1) because the glass robs some of the electro-energy from the water when “smacking;” and (2) glass will eventually short–out your unit and VOID your WARRANTY. ALSO NEVER USE METAL BOTTLES, such as aluminum or stainless steel flasks. They too will damage the technology and VOID your WARRANTY. Metal bottles will short out these units. This invention will last many years if you NEVER put a metal or glass container in the resonance chamber! Touching water to metal also destroys healthy water clusters. Alternatively, the greatest danger in using PET plastic comes with expose to sunlight for long periods of time. So keep your plastic bottles away from sunlight! Some sensitive people may smell plastic when first opening the mailing box. This comes from the plastic components or bonding chemicals used in the housing of the unit that doesn’t touch the water. This odor will disappear as soon as you rinse out your PET bottle. If you are seriously concerned, charge and discard your first bottle of smacked water. This combined technology uses only 2 watts of power, and is FAR less expensive than already popular alkalizing and micro-clustering water machines! The 528 Water Smacker package costs less than $500. And assuming you leave this unit on 24/7/365 you would use only 48 total watts of power per day. That is very small. So you can charge your recommended daily supply–a liter of water–for 24 hours very inexpensively. Consider availability, pH and taste when you select your spring water to “smack”. In the United States (where this technology is made) the FDA does not monitor water quality in the bottled water industry. This is sad, because much of the water sold today is poisonous! We recommend using only good quality SPRING WATER. If that is unavailable, use filtered drinking water. If that is not available either, use reverse osmosis (R.O.) water. We have found that Arrowhead and Crystal Geyser spring water (available in the US) works best with 528 Water Smackers, and are brands that are widely available. Deer Park Spring water had the highest pH lift (i.e., before and after smacking the water), but is less available. Fuji and Evian work okay too. Pure spring water from bottles produces the greatest rise in pH than other water sold in stores. We DO NOT RECOMMEND Coke’s Dasani, nor Pepsi’s Aquafina, nor “Smart Water,” because they each have chemical additives. Typical additives include toxic “table salt” (NaCl) for flavor; magnesium sulfate, and potassium chloride. The pH of Aquafina and Dasani water does not rise well, but this water will still “shock” you after charging for 24 hours with the 528 Water Smacker. You can test the pH of water as a measure of energy. 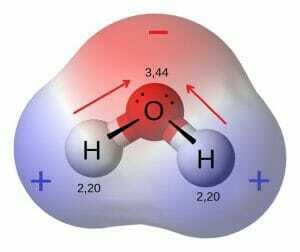 More acidic water hold less energy and less charge. Alkaline water holds the most energy. Smart Water had a low pH (more acid). After smacking, Smart Water’s pH only went up to 6.4pH in a 24-hour period. And it tasted “strange.” Aquafina and Dasani water acted similarly. The pH does not go up very much in these chemically-polluted waters, but they will still get charged and “shock” you when testing. Distilled water, reverse osmosis water, and filtered water all lose minerals. The good news is that they all eliminate chemicals and heavy metals from your body; and they still contain important ORMUS elements–monoatomic gold, silver and platinum metal groups in a sub atomic spin state. Smacking these kinds of “energetically-dead” water brings them back to life, and enhances the ORMUS energy in them. Berkey filtered, or Alexapure filtered water, are also good waters to smack. AVOID USING TAP WATER unless you get a 5 stage reverse osmosis filtration system. Chemicals in typical American tap water are poisonous. Fewer people living in urban America today drink straight tap water due to their awareness of the toxic chemicals added to municipal water sources. Stay away from these “chemical water” sources if you want to stay healthy. Iron in water is okay, and takes a charge faster than other micro-nutrients. Spring water generally contains trace amounts of iron. Fresh spring water from a well or pure mountain stream is best for raising the pH by smacking. Spring water also contains calcium. Too much calcium and/or iron in water, however, is not good. It needs to be filtered before using the 528 Water Smacker. And too much calcium in your water can ruin the delicate WS technology and also VOID THE WARRANTY. Do a taste test, before and after smacking your water for 24 hours using 2 glasses. Smacked water has smaller (micro-clustered) water molecules. The science explaining this is footnoted below. [8-10] Micro-clustered water feels silkier to your tongue, and tastes better. You can do a taste test for pH too, but this is controversial. Generally, charged water tastes better, a little sweeter. This is strange, because bitter foods contain more alkalizing electrons than sweet foods. Smacked water actually tastes better (a little silkier and sweeter) than un-smacked water. If your water tastes strange after smacking, then it was probably polluted at its source. Do not drink chlorinated, fluoridated, polluted water. Your own taste buds will let you know if the water is bad. Listen to your body! Tap water, and bottled water in stores, typically pours at 7.0 pH. Shelf life of store water can be 6 months, and the water can become more acidic (and less energized) as time passes, (e.g., 6.0 pH) As water energy is lost it becomes more acidic, less tasty, and disease-inducing. The 528 Water Smacker will typically raise the pH of water that has lost its energy while sitting on store shelves. The water pH will rise, back up to 7.0 or 7.5pH as a result of smacking, and you can demonstrate and record this for yourself. There is general consensus that negatively charged (i.e., alkaline) water is best to drink to raise the pH of your body chemistry. Raising your pH helps flush toxins from your body, as you pee out acids (+) and absorb alkalized (charged) water. Some people have recorded a rise in their blood pH, and/or saliva pH, after drinking smacked water for two weeks. Some researchers claim that most stomachs cannot handle alkalized water over 8.5pH. You simply pee out the excess energy. Smacked water is wetter and more therapeutic. How long does “smacked” water last? Your smacked water will stay charged in the charging bottle for 3 days, then the energy and micro-clustering will dissipate without refrigeration. You can pour the water into a safe-plastic travel canteen and expect it to stay charged for up to 3 days. But the charge decays–gets weaker as the days go by. For this reason, it is best to drink smacked water right away, or the day you produced it, to get the most benefits. To test your unit and smacked water, you can put your clean finger into the bottle or a poured glass, and simply touch the water. IT WILL SHOCK YOU! This will not damage you in any way, but it will surprise you, so BEWARE. You can also prove the 528 Water Smacker is working by pouring some smacked water onto your finger to feel the shock. This static spark jumps from the water to your finger for the same reason lightening strikes the earth. Because your body maintains less electrons than the smacked water, so your body acts like a “ground” and attracts the spark to your more acidic body. If this happens, and you still want to test the unit, have a friend put his or her finger into the bottle. Their acidified state will attract the spark and cause them to jump. The spark is generated thusly: The outside of the bottle (and you, like the earth) is positively charged (+) and the charged water is negatively charged (-). The spark jumps from negative to positive [(–) to (+)]. The non-Hertzian energy in outer space is negatively charged (–) also. And the earth’s ground is positively charged (+). (This is the opposite of electromagnetic AC or DC current.) So the spark or lightning bolt striking earth from the atmosphere travels like this negatively charged water demonstrates to your positively charged body. If you are curious (and brave) try the shock test with and without rubber sole shoes on. For example, go outside barefoot, and stand in your garden or on a cement slab, and try the shock test. The shock will be much stronger due to your grounding to the earth. The same goes for the neon light bulb test you can do with the testing lamp included with your WS unit. Included with your WS purchase is a simple 120v DC NEON lamp tester for testing the unit to see if it is working or not. NEVER TOUCH the wire (cathode) to the inner aluminum shield inside the smacker tube while ON, because it will give you a static shock and may damage the unit. This will VOID YOUR WARRANTY. You can see the aluminum shield that lines the inside wall of the resonance chamber. At the center of the smacking chamber is the stainless steel rod. If you follow these instructions, your unit should work well for years. To test your unit using the neon lamp tester turn on the WS, and turn the WS upside down so you can view the stainless steel rod inside the resonance chamber. Next, hold one end of the bare wire of the neon lamp tester between your thumb and index finger. (It does not matter which wire end you pinch, nor which hand you use.) With the WS unit turned on, bring the other bare wire end close to the stainless steel all threaded rod (i.e., 1/4” to 1/8” distance is good). The neon lamp tester will light. It works like a multi-E-field antenna. It will alight in the energy field. Watch for slight blue sparks as you bring the bared wire near the end of the rod. You can even touch the rod. This will not short-out the system. The lamp will glow, showing you the WS is functioning properly, and ready to smack water. If you want to see a bigger spark or more of a lamp glow, take off your rubber sole shoes. You will be more grounded and the neon lamp will glow brighter. REMEMBER: DO NOT INSERT ANY METAL OBJECTS INSIDE THE RESONANANCE CHAMBER WHILE ON OR OFF! IT CAN SHORT OUT THE UNIT and void the warranty. You can also hear the static blue spark crackle. This is how you can actually view the true non-Hertzian energy that Nikola Tesla discovered and experimented with in Colorado Springs. What you are witnessing is 8,000 volts x .001 micro amp. This is similar to static electricity. Static electricity, magnetic energy, and non-Hertzian energy all work together. The power of nature from the “big dyno” in every galaxy generates this energy. Researcher believe this energy comes from the black hole(s) in our galaxy. Dr. Horowitz concludes this has a lot to do with 528 frequencies of sound and light. This should be the “free energy” that saves civilization from “involuntary servitude” to the drug industry and energy cartel. This knowledge about free energy threatens the “Deep State” and their National Security commercial protection racket. That’s why Tesla technology was suppressed and his genius neglected. This criminal enterprise is not in humanity’s benefit, especially now that the biosphere is so heavily polluted and civilization is threatened with extinction. Fill your “smacking bottle” with a good quality spring water as mentioned above. Start by charging your spring water for 24 to 48 hours. (Usually, spring water is well charged after 24 hours.) After the charge time, pour an 8 ounce glass of water, drink it, and if you don’t want to drink more refill the bottle and place it back in the charging chamber. Bottles filled with at least ½ charged water will recharge faster. In 2 to 4 hours, your 1/2 (0r more) filled bottle will get recharged, because the charged water spreads that memory and charge to the new (uncharged) water. This way, you can keep producing your healing water 24/7/365. You can also get into the habit of changing-out charged bottles every morning or evening. Cap and refrigerate each charged bottle to build up a good supply. One unit typically smacks enough water for two people to get plenty of charged water daily after you refrigerate a couple of bottles. BEWARE! Do not drink from the “charging bottle” after charging over- night, because it may shock your lips with the static charge if your body energy is low! (1) Drinking higher pH smacked water will help raise your body’s pH. This boosts longevity according to animal studies ; and general immunity against many types of diseases. An alkalized body, maintaining higher pH (7.6-7.8), has been shown to boost immunity and oppose cancers. Contrary to status quo medical propaganda  cancers generally only grow well in acidic bodies. Many cancers have been reported cured by people drinking charged, alkaline, or micro-clustered water. A 2012 study found that drinking alkaline water with a pH of 8.8 may help deactivate pepsin, which is the main enzyme that causes acid reflux. (2) Drinking charged, alkaline, micro-clustered water will help purge the body of toxins and blood vessel restrictions, helping blood flow and reducing risks of heart attacks over time. One study suggested that drinking alkaline water may have benefits for people who have high blood pressure, diabetes, and high cholesterol. A more recent study that included 100 people found a significant difference in whole blood viscosity after consuming high pH water compared to regular water after a strenuous workout. Viscosity is the direct measurement of how blood flows through the vessels. Those who consumed high pH water reduced viscosity by 6.3 percent compared to 3.36 percent with standard purified drinking water. This finding was corroborated in a sports medicine study. This means blood flowed more efficiently with alkaline water. This can increase oxygen delivery throughout out the body. Drinking “smacked water” for 30 days has been reported by users to show similar positive results, with users reporting better health and more energy. (3) Taking nutritional supplements or medicines around the time smacked water is consumed may substantially increase the amount of the substances (such as nutritional supplements or drugs) entering the bloodstream through the intestine, and cells throughout the body. This can increase their intended effects. The “wetness” of water is associated with greater oxidative-reductive potentials (“ORPs”). This parameter of water is a measure of energy electron-availability (measured negatively due to the negative charge of more available electrons vibrating around the oxygen). This variable in water, and its impact on intestinal absorption of substances, is clearly explained in “Redox biology of the intestine” by authors Magdalena Circu and Tak Yee Aw as published in Free Radic Res. 2011 Nov; 45(11-12): 1245–1266 . These authors reviewed “thiol/disulfide redox systems comprising the glutathione/glutathione disulfide (GSH/GSSG), cysteine/cystine (Cys/CySS) and reduced and oxidized thioredoxin (Trx/TrxSS) redox couples.” They reviewed research as to why these electrically-reactive species “play important roles in preserving tissue redox homeostasis, metabolic functions, and cellular integrity. . . . The water molecule appears to become a little smaller when more electron energy in the polarized cluster pulls the hydrogen atoms (arms) together. These smaller electron-rich “micro-clustered” water molecules bond to solutes in the water, including nutritional supplements and drugs, and will absorb through your gut and into your cells faster, carrying more nutrients or drugs. They will enter your cells and tissues faster and in higher concentrations. You will get greater benefit from your foods, vitamins, minerals, enzymes, hormones, medicines and/or homeopathics you are taking. You can cut back on your use of dangerous drugs, and even use the 528 Water Smacker to reduce drug dependencies and drug side effects such as suicides from opioid addictions. However, there is a risk. We caution medical patients and drug users who consume pharmaceuticals or chemicals around the time they consume smacked water to consult with medical doctors beforehand. Inform your doctor before you perform this suggested test: Cut in half the usual dose of your prescription when taking it with smacked water; because you will likely receive the same intended benefit at one-half the dose, cost, and risk. You can save money and possibly prevent drug side effects by using 528 frequency smacked water around the time you consume supplements or medicines. To do this test most safely, ask your doctor to monitor your “dose-response.” Your healthcare professional can survey your blood, metabolism, and health status to determine the safest and most effective dose-response. (4) Smacked water is also ideal for increasing the effects and benefits of homeopathic remedies, Bach flower essences, herbal tinctures, and medicinal spices. For example, Dr. Horowitz’s CBD528 homeopathic has been reported to help ween people off of addictive opioids while reducing pain and anxiety and promoting mental and emotional health. CBD 528 can be added to smacked water for increased benefits. Put three (3) drops of CBD528 in an eight (8) ounce glass of smacked water to gain this enhanced benefit. (5) We further claim that the 528 Water Smacker is NOT A MEDICAL DEVICE. For more information about the 528 Water Smacker, watch the video player above, and also this VIDEO too. You can also watch Dr. Horowitz’s amazing presentation and demonstration at the American Academy of Anti-Aging Medicine (A4M) on “Hydro-engineering Freedom from Infectious Diseases.” (Also, scientists and “skeptics” are encouraged to read the footnotes below. Contact us with sales questions at info@healthyworldstore.com or 310-877-3002; or with technical questions call 805-995-4809, or e-mail: info@watersmacker.com. Economic Footprint in the Pharmaceutical Industry. In: The Pharmaceutical Industry and Global Health, 2017. International Federation of Pharmaceutical Manufacturers and Associations. pg. 51. The total cost in trillions the world is paying for drugs (omitting drug side-effects) is heralded by the industry’s leaders as playing a major role in the global economy. It is often said in jest critique of the cancer and cardiovascular disease industries, that “more people are living off of cancer or heart disease than those dying from these illnesses.” Big Pharma’s propaganda hides more than the damage to civilization and our biosphere from drug-related chemical pollution of fresh water supplies and the devastating toll of deadly drug side effects. For example, medical doctors are not taught water science and “non-Hertzian electro-chemistry” at school despite water being more than 80% of human body composition. As in the energy industry, profiteers don’t want Tesle’s knowledge and technology to compete against their utility companies. The truth about natural (ambient) energy systems in water science, physics, even impacting metaphysics (i.e., spiritual dynamics) would put leading global companies out of business. The 528 Water Smacker technology offers a choice to transcend this commercially-imposed ignorance and deadly damage. If the green led light does not come on, you may need a new wall wart transformer that plugs into your wall socket to charge the system. We will replace the one that comes with your purchase if it fails within a 2-year period. We offer a 2-year warranty because Bob Boyce, the inventor of the WS, says the circuit cannot short and should last indefinitely, but cheap 12v wall transformers can go out. Any 12v wall wart transformer (x .5 amp to 2 amps) will work, but cannot be over 15v. A 3 prong grounded wall wart transformer is a must! These are hard to find these days. Ours is 12.3 volts output. If yours fails contact info@watersmacker.com We will supply a new one. You must use the 3-prong grounded plug for the WS to work properly. 2 prong cords will work, but will damage the wall transformer after a time. This may take weeks or months, but one day it will “fry.” So only use a 3-prong cord, like the one supplied. Magro et. al., Alkaline Water and Longevity: A Murine Study. Evid Based Complement Alternat Med. May 31, 2016: 3084126. TR Fenton and T Huang. Systematic review of the association between dietary acid load, alkaline water and cancer. BMJ Open. June 13 2016; 6(6): e010438. Healthline.com. Alkaline water: Benefits and risks; and also genetic studies reviewed by C. Stanley and DC Rau in “Evidence for water structuring forces between surfaces” Curr Opin Colloid Interface Sci. 2011 Dec; 16(6): 551–556. This partly draws on the pioneering work published by R. Saykally, et. al. in Science (1996) that showed the unfolding of DNA and reduced electrical potentials in the genetic material caused by dehydration of special clustered water operating in the electro-genetic matrix of DNA administering light and sound signaling for inter-cellular communications and cellular up-regulation. A hydrophilic molecule or substance is attracted to water. Water is a polar molecule that acts as a solvent, dissolving other polar and hydrophilic substances. In biology, many substances are hydrophilic, which allows them to be dispersed throughout a cell or organism. All cells use water as a solvent that creates the solution known as cytosol. Cytosol contains many substances, most of which are hydrophilic on at least part of the molecule. C.N . James, et. al., Relationships between Oxidation-Reduction Potential, Oxidant, and pH in Drinking Water. American Water Works Association, 2004. Please read all the instructions before producing your first charged water bottle. And consult with your doctor about the likely need to reduce your standard dose of prescription drugs to reduce your risk of side effects. For more information about the 528 Water Smacker, please e-mail: info@healthyworldstore.com. 528 Water Smacker Instructions (updated 8/1/18).